The TickedOff tool is probably the easiest tool you're ever going to use for removing a tick from your dog or yourself. 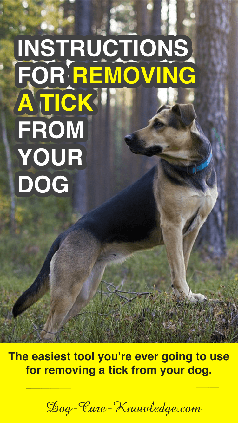 Known as "the World's simplest tick remover" it allows you to remove a tick quickly and easily without ever having to touch the tick with your hands. It will remove an attached tick in seconds and can also scoop up a crawling tick that will stop the tick from attaching. Approved and endorsed by both physician and veterinarian this tools has also been independently lab tested and can help reduce the risk of tick-borne diseases. Isolate the tick by parting the fur and ensuring the tick is clearly visible. Place the wide part of the notch on the skin near the tick (hold skin taut if necessary). Applying slight pressure downward on the skin, slide the remover forward so the small part of the notch is framing the tick. Continuous forward sliding motion of the remover detaches the tick. The tick is now entirely removed. See pack for full instructions. Click the button below to add the Ticked Off - 3 pack to your wish list.